The pistachio is one of the nuts which humans used the longest time in their history. An excellent supplier of easily absorbed protein, B group vitamins and vitamin E, iron, copper, calcium, potassium, phosphorus, magnesium, pistachio was present in the menu of people since 6000 BC. It belongs to a group of food products with the most powerful antioxidant properties. Thanks to its high nutritional value the nuts of pistachio are recommended for recovery of exhausted organisms. 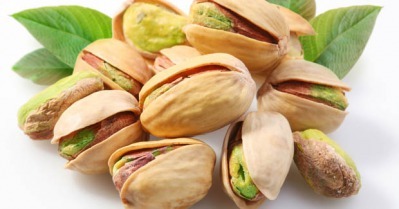 The pistachio contains fewer calories, less fat and more protein in comparison to other nuts. Also useful in severe physical and mental stress - removes fatigue and improves self-esteem. To the attention of intellectuals - pistachio has a favorable effect on the brain! A very good source of omega 9 fatty acids that along with vitamin E help to cleanse the body.